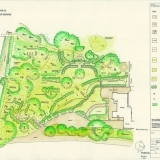 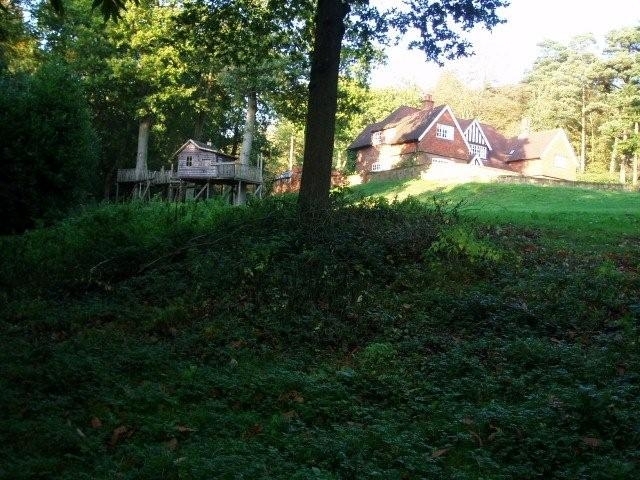 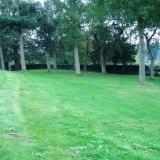 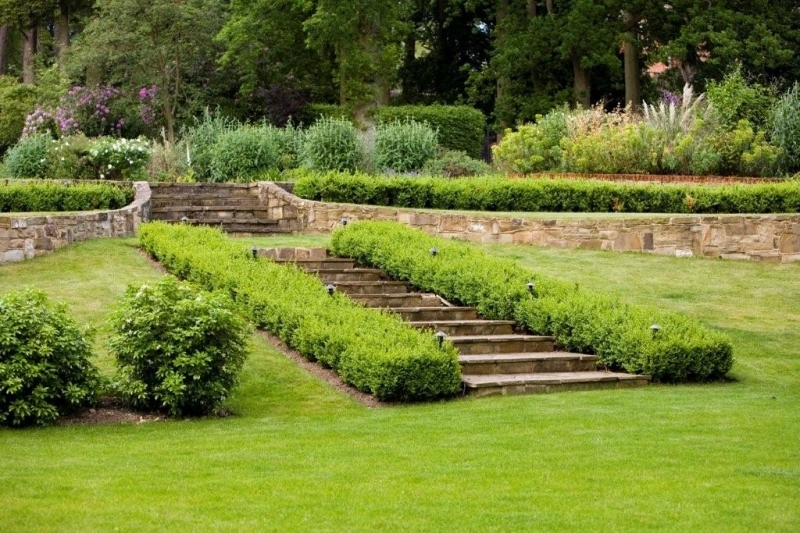 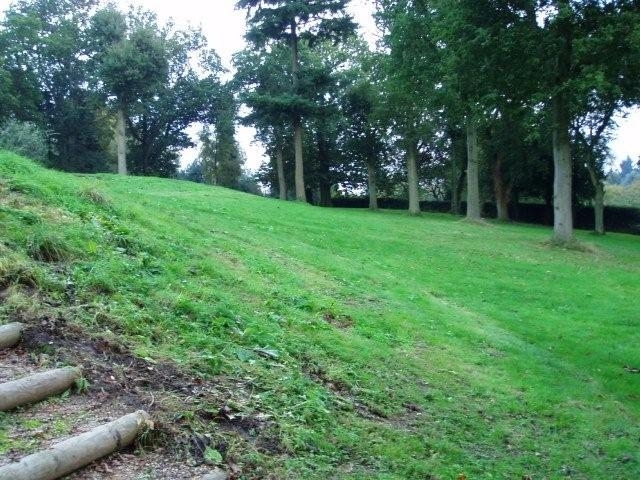 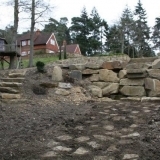 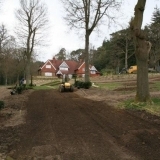 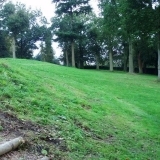 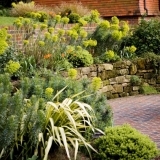 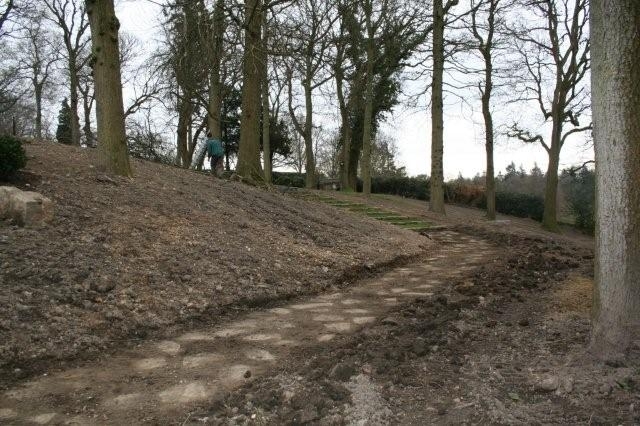 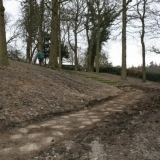 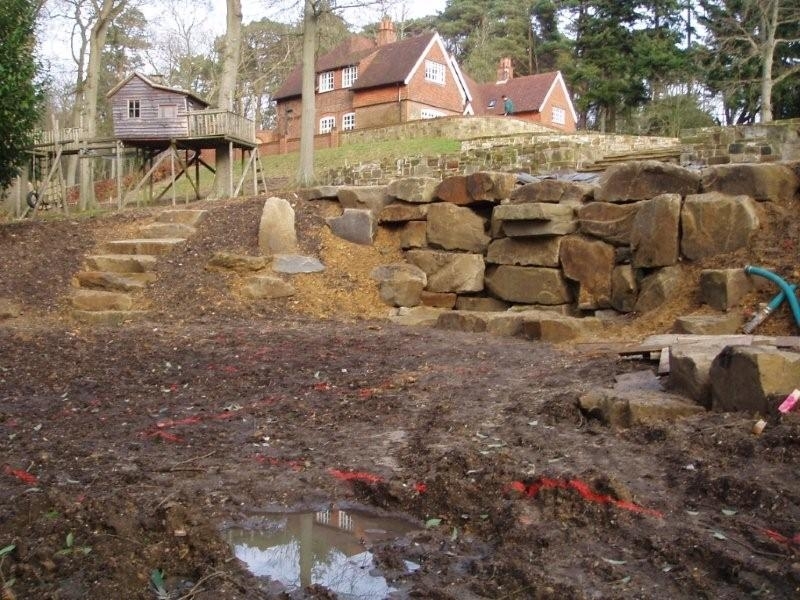 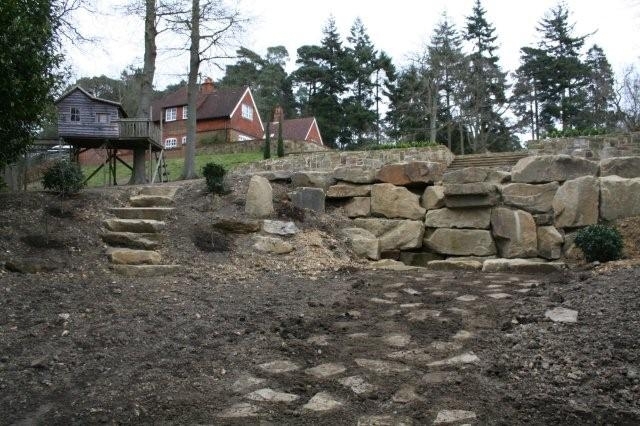 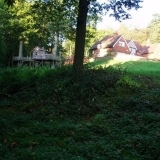 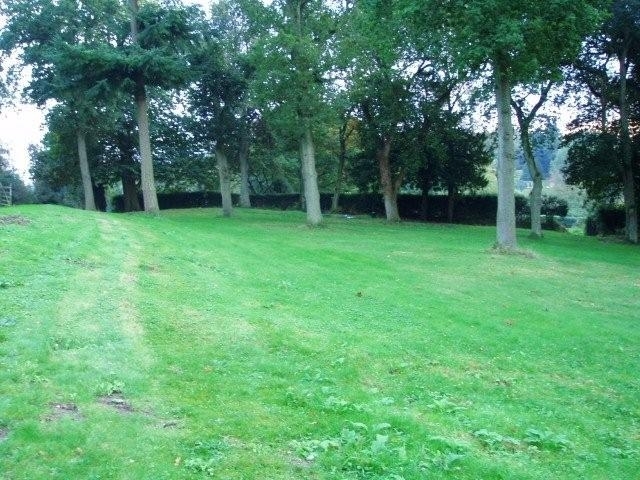 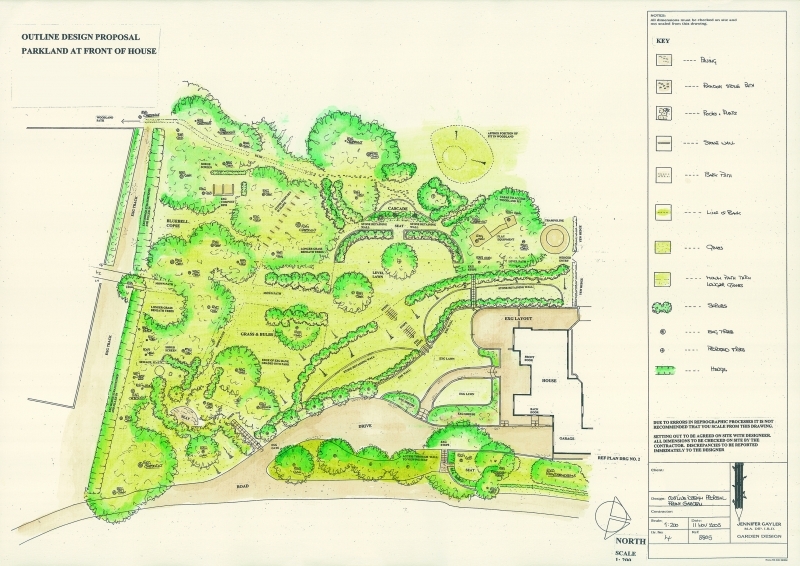 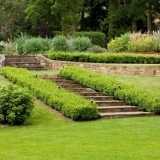 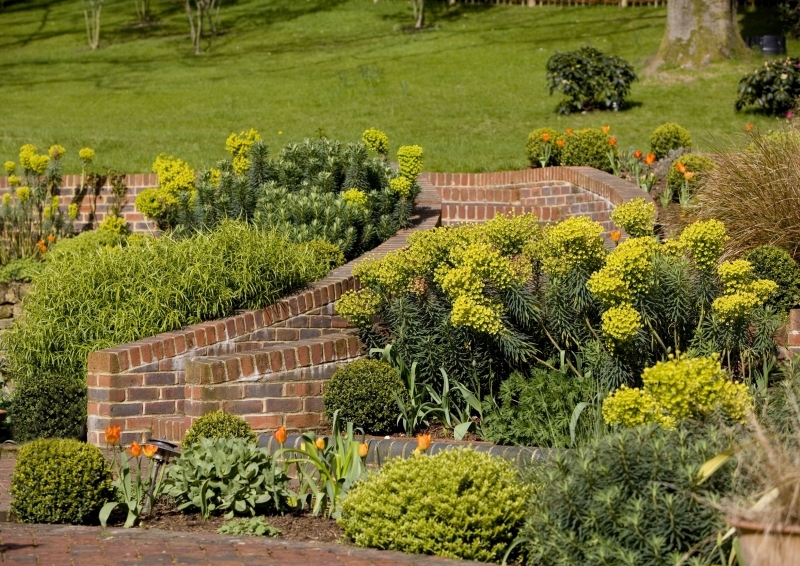 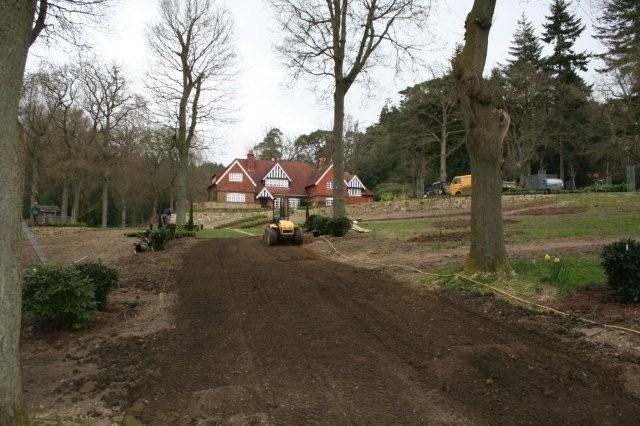 Creating a completely new garden design for a large, sloping woodland site is the kind of challenge any garden designer would relish. 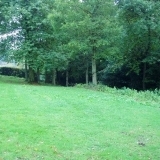 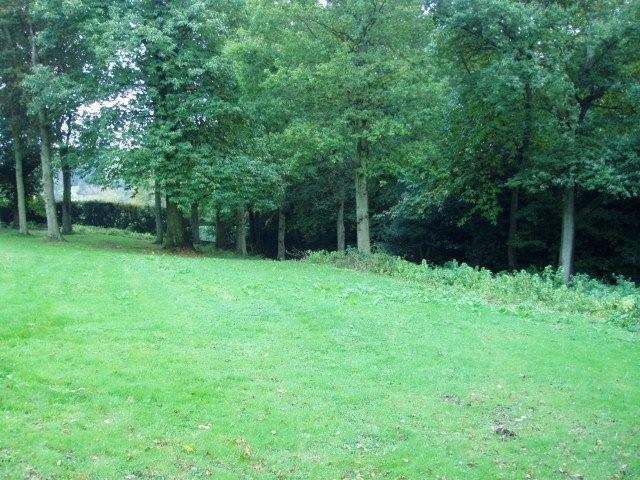 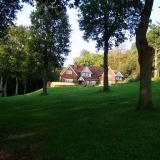 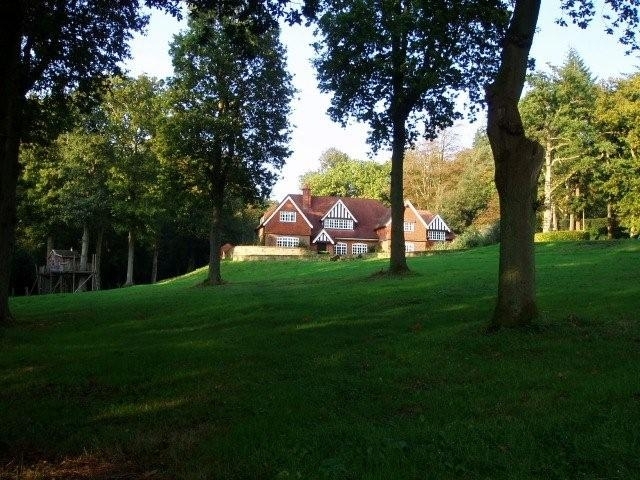 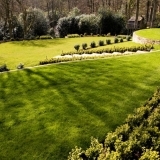 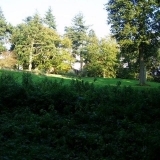 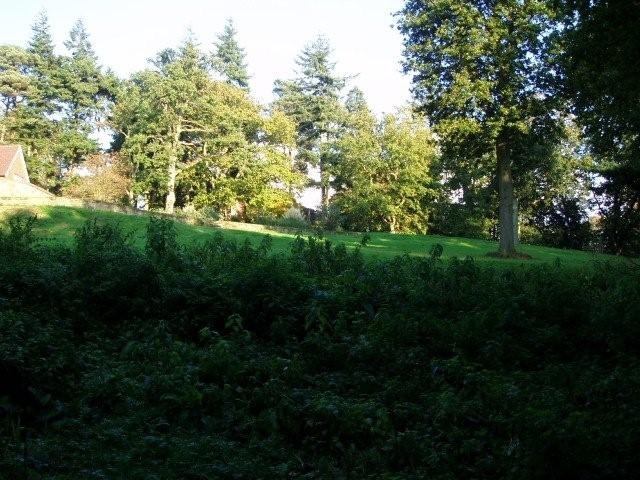 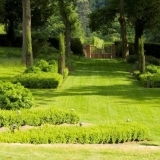 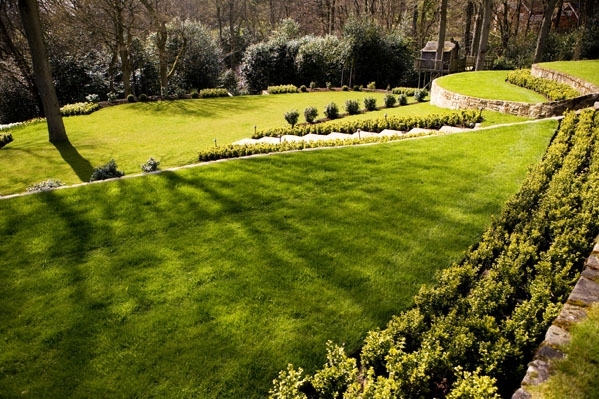 At the front of the house, set deep in the Surrey Hills, we established lawns, with shrubs and trees (underplanted by 25,000 bulbs!) 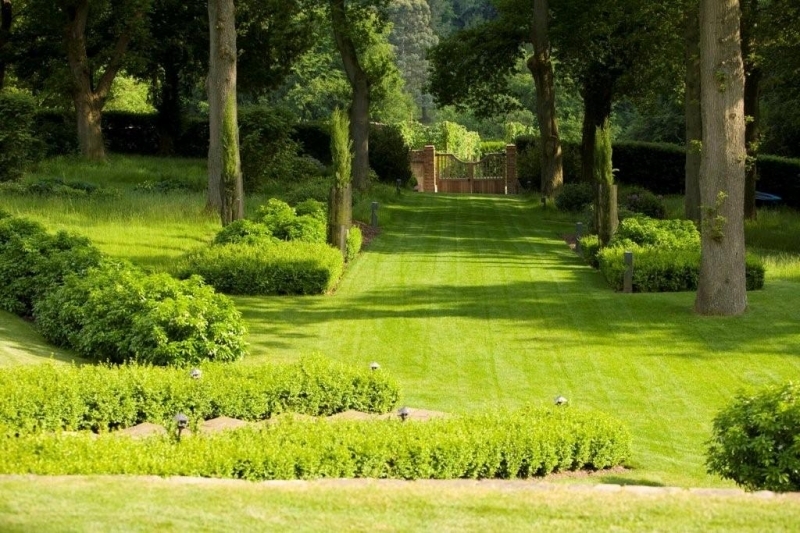 creating wide grass avenues. 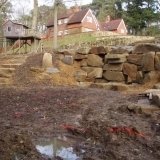 Stone steps set into the slope at random points encourage exploration. 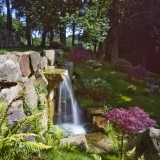 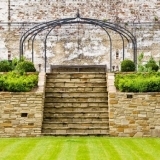 In one hidden part of the garden, a cascade waits to be discovered, while a custom-made gate leads to the one-acre walled garden. 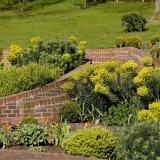 Steeply sloping and previously derelict, this far-off ‘forgotten’ corner is its own magical world. 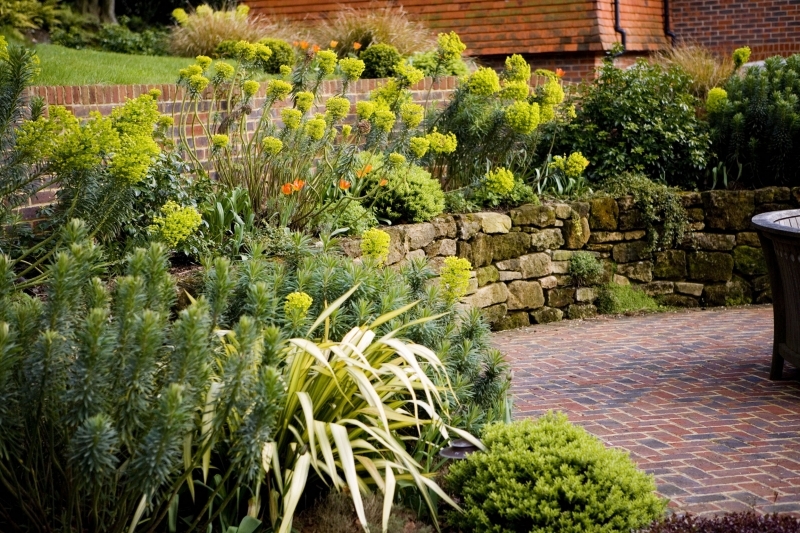 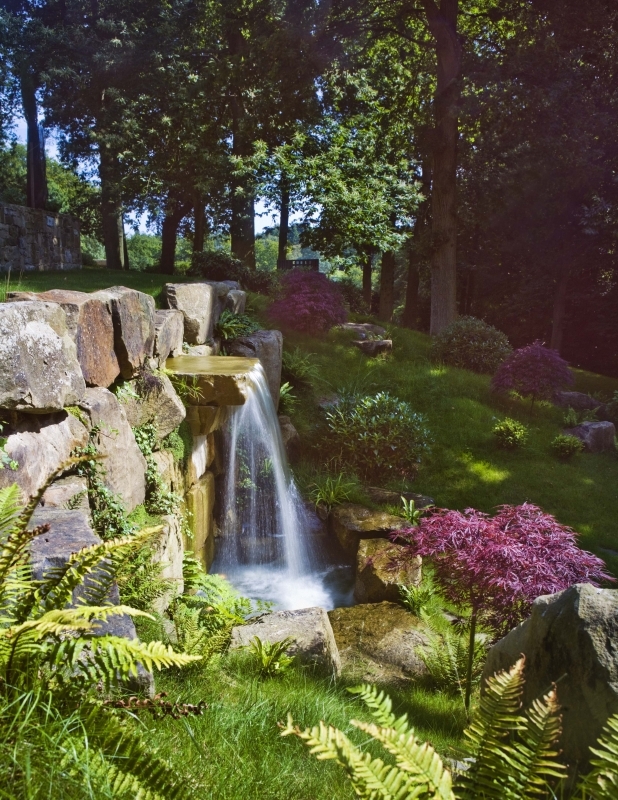 To the rear of the house, simple woodland planting of rhododendrons and native trees is complemented by a sculptural stone wall; snaking its way among the trees, it adds interest and movement to the garden design, and brings some human definition to an otherwise natural space. 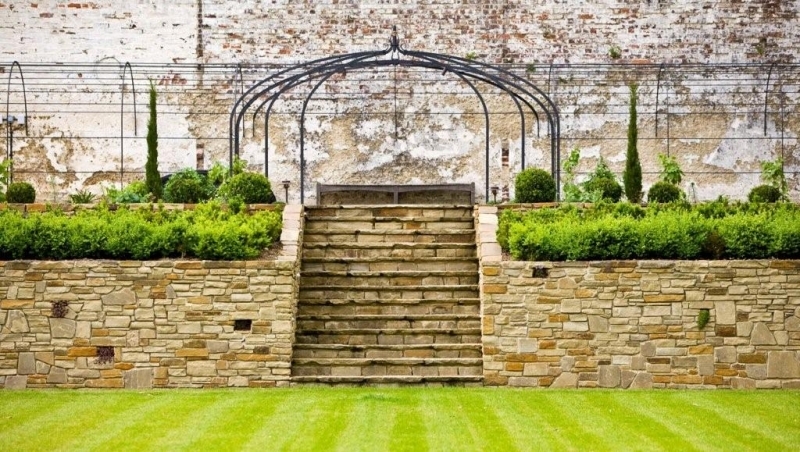 Beside the house is a Moroccan-inspired courtyard.